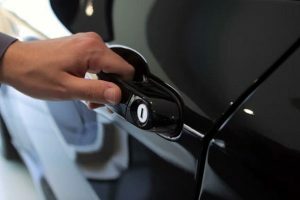 Looking for a car lockout service in Los Angeles? Do not fret! We have been performing lockouts services for many years. In addition, we are providing this service 24 hours a day in various Los Angeles areas. Our roadside assistance also includes jump start, tire change and more. We station all of our roadside vehicles and tow trucks in Los Angeles surrounding cities such as San Pedro, Santa Monica, South Gate, and Studio City so that we can get to your location within moments of you call us. Remember that it is not advised to try force open the car door when locked out with the keys inside. Moreover, attempting to unlock the door of a vehicle with inappropriate tools and methods will usually result in damage to the vehicle. Damage can range from door frame damage, scratches or window damage. People trying to break into the car by themselves will probably need expensive repairs; a situation that can be prevented by calling for car locksmith. If you have toddlers, small children or pets get accidentally locked and trapped inside vehicles. At the same time, facing dangerous situations, you should act fast. You can choose to call 911 or seek help from police officers in such emergency situations. If the lockout is not a matter of life and death, yet still a matter you need to resolve as soon as possible, call us. Our 24-hour vehicle lockout service is readily available. Describe the issue you are facing, the make and model of your vehicle, as well as the type of keys and locks used. With greater details, our technicians and locksmiths can be dispatched more quickly to your location. Lockout services are difficult to obtain because of the level of difficulty involved in the release of a car door and the potential damages that can come from it. Our technicians have been operating in the city of Los Angeles for over a decade, and all of our technicians are perfectly capable of catering to your locked car. So give us a call and we will have our roadside assistance technician or locksmith go to your proximity and help you solve the lockout issue. In no time, you will be gaining access to your driving seat and get back to your daily schedule in no time.